Roar Before the 24, anyone? 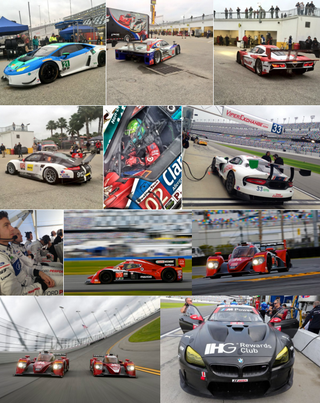 Follow RACER’s liveblog here as well as IMSA’s live scores, and check out the cool pics and live feed from the #Roar24 feed on Twitter for those who aren’t in NA and don’t have FOX Sports Play. So far, Ligier-Honda locks out 1 & 2, with DeltaWing in 3rd (!!!) for the prototypes. In GTLM, RLL locks out the top 2, but Corvette-3, GanassiGT-67, SMP-72 and PorscheNA-912 breathe at each other’s necks, while the GTD is led by, amazingly, an old 458, with all other entrants in mostly new machinery close behind.